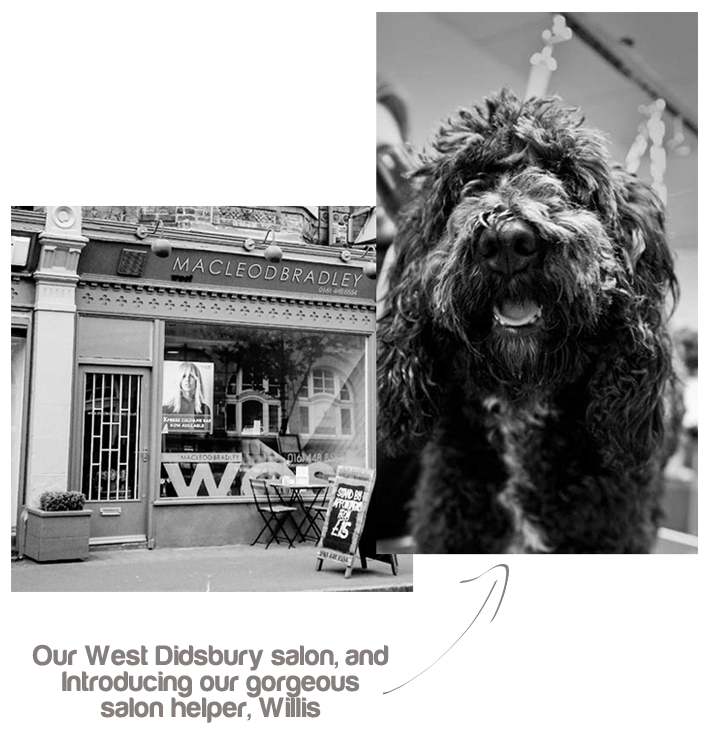 MacleodBradley, located on Lapwing Lane, in West Didsbury, prides itself on delivering excellence. Owner Helen Bradley has been in the hair industry for over thirty years – her passion for this industry is evident throughout the salon, and is reflected by her creative team. The salon uses the ultimate hair care products, including Kevin Murphy, Olaplex, Kerastraight and R.A.W. These products are kind to the environment – as well as your hair – with some being up to 97% natural and cruelty free. MacleodBradley is firmly focused on ensuring first class client service and experience for all guests, providing high quality, bespoke hairdressing tailor-made to suit each individual. To this end, staff regularly attend Kevin Murphy Session.Salon training, a unique programme which enables stylists to deliver personalised salon experiences. Carol is our senior stylist and covers all aspects of hairdressing including colour, though cutting short hair is where her love for the industry most certainly shines through. Customer care is Carol's top priority and you will certainly be looked after by her. Working for major leading salons over the years, Carol has won awards for colouring and also gents hairdressing. Jerome is a senior stylist with a difference. Throughout his career he has worked in salons in South Africa and here in the UK, embarking upon an educational role for a leading hairdressing brand for numerous years. Having taken time out to study a degree in accountancy, he now works part time and mixes numbers with scissors! Jo’s career has spanned many years in Manchester and being a senior member of the team, she has gained a loyal clientele. Gents are very prominent amongst Jo’s clientele, having also worked as a barber for numerous years. Mikki has worked as a senior member of the team for many years and her wealth of hairdressing is second to none. Having worked in many high end salons, her passion lies now with colour, especially balayage. 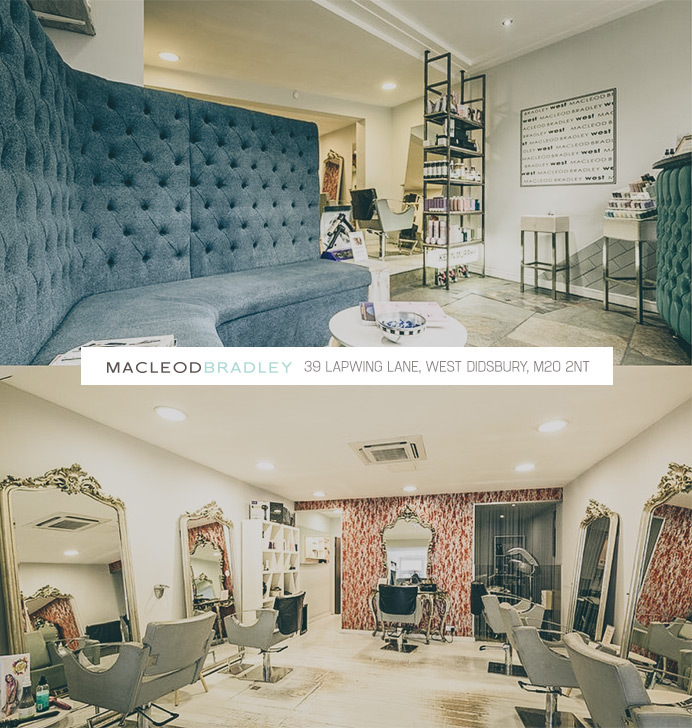 Whilst a stylist at MacleodBradley, Suzanne also graduated as a Kevin Murphy Session Stylist, enabling her to use her creative flair for styling her own guests. Also a colour technician, having trained with only the best over the years, her passion and knowledge most definitely lies within colour. Steph is your first friendly point of contact within MacleodBradley and will ensure your guest experience is red carpet all the way. From booking your initial appointment to saying goodbye, Steph is on hand every step of the way. If you have any questions, would like to make an appointment or have feedback for us, please complete the form below. For a more immediate confirmation of a hair appointment, call us on 0161 448 8554. Copyright © 2019 MacleodBradley · All Rights Reserved.